Sportswear brand Mizuno has opened an experience store aimed at immersing visitors in the history, innovation and craftsmanship behind the brand. Located at The Battery in Atlanta, the Mizuno Experience Center opened earlier this month and showcases the breadth of Mizuno premium gear available in North America across multiple sports categories, from baseball, softball and volleyball, to golf and running. Mizuno, which has North American headquarters based in Atlanta, is also the Official Baseball Gear Partner of the Braves, a local baseball team. Designed to be an immersive environment that tells the Mizuno story through its gear, the Experience Center engages guests through interactive displays using RFID technology and specialised labs for each sport that allow guests the ability to touch, test and then purchase gear custom fit for them, aiding them in their quest to improve their performance. Mark O'Brien, president and officer of Mizuno USA and chairman of Mizuno Canada, said: "What better place to tell the Mizuno story than our hometown. From our partnerships with Atlanta Track Club and Atlanta Braves, to creative sponsor integrations at SunTrust Park and new partnerships that will be announced shortly, Mizuno has so much to offer Atlanta as its hometown sports brand. We are excited to open the doors to our Experience Center and are honoured to be a part of this iconic moment in the Braves' and the city's history." The specialised sports labs located inside the Experience Center showcase Mizuno's proprietary custom-fitting expertise in golf, baseball, softball and running. O'Brien added: "Our goal is to provide a personalised and customised experience in a premium, one-of-a-kind environment." The Mizuno Experience Center gives athletes the ability to find the right gear that optimises their performance and meets their personal preferences. This is the only Mizuno centre of its kind in the western hemisphere. 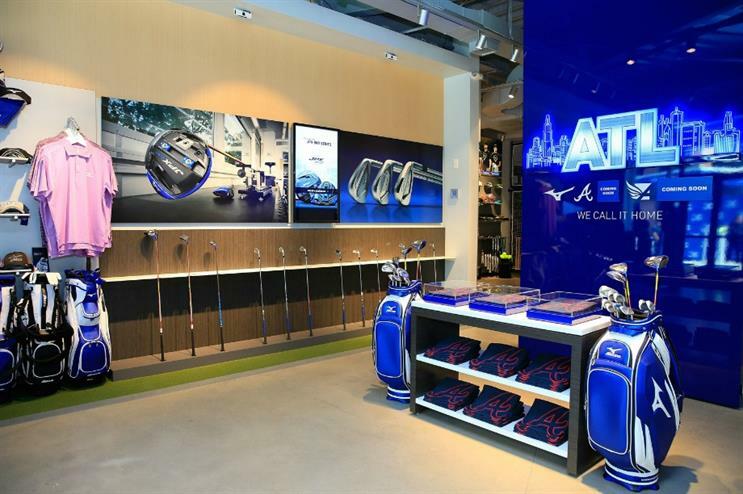 Throughout the year, the Mizuno Experience Center will host a variety of public and private events and professional athlete appearances in addition to visits by the Mizuno craftsman (glove and bats), Mizuno Golf Tour truck, Atlanta artists and advanced exclusives of the latest premium Mizuno gear. More: Electronics brand Samsung is opening its latest experience store in Toronto, Canada, which promises to be the brand's most immersive store to date. Jaguar Land Rover last year opened a retail experience at Westfield Stratford in partnership with digital retail experts, Rockar.